Interactive Video Technology injects life into your video making it more compelling, captivating and effective. Viewers are empowered to not only watch but interact with your video, select the content that is relevant to them and take actions such as schedule a meeting, submit a message, download a report, answer a poll, click through to a landing page, or even buy a product. But this is not the only advantage of interactive video. Powerful analytics reveal user behavior and show how they interact with every part of your video. 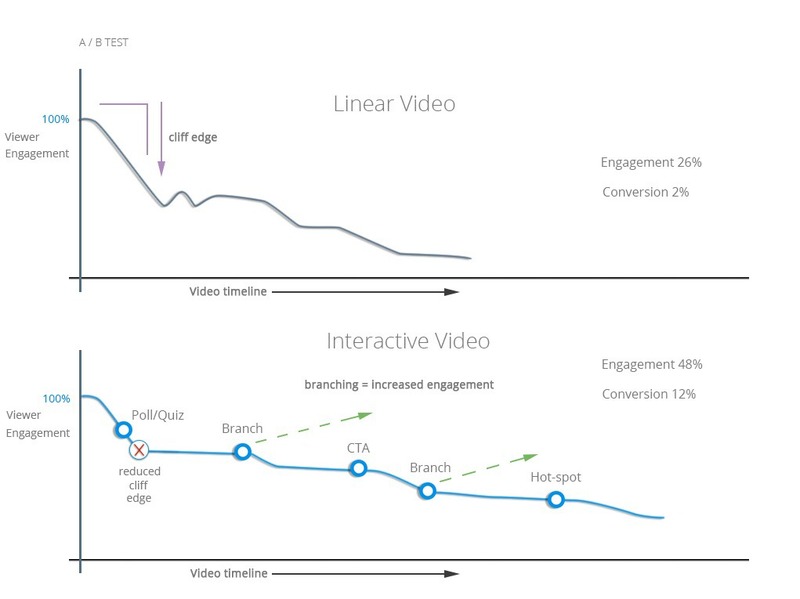 Interactivity results in 3x-4x greater viewer engagement and conversion than traditional linear video. 35% of marketers using interactive video have seen increased conversion, and 25% increased sales (Brightcove). 34% of video consumers want to be able to jump to a different part of a video (Raptmedia). No matter how great a video may be, it offers a passive experience with its’ success measured only by number of views, likes and shares. Interactive video technology turns passive viewers into active participants. Every interaction in the video provides detailed data and meaningful insights about your audience. Adding interactive elements at points during the video allows you to; analyze what elements viewers respond to, how long they interact with the video, what content is of interest, what actions they take. This information provides powerful analytics, resulting in less guess work and more actionable metrics. 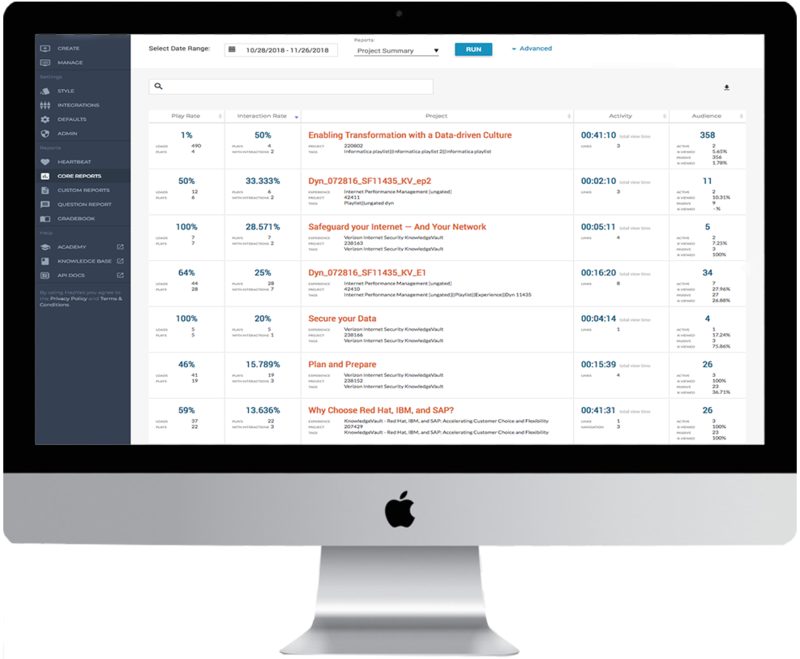 We will provide you with reports to analyze your video performance. We will also help you to adjust interactive elements to improve performance and engagement of your video. Learn what matters to your audience and how they interact with your video.